If you are looking for informative medical apps, here you can view a list of the best medical apps for your iPhone and iPad. These apps have lots of features which could be very useful for educational and teaching purpose. In this article, we’ve selected only few apps which are really useful and help you to get medical related information. Some of these apps are available free of cost on the App store. Okay check the list of useful medical apps. 1. Human Anatomy Atlas ( iPhone & iPad ) – Great app that can show you human body structure with 3D content. Very interesting medical app that could be very useful for students and teachers. One of the best apps to get full detailed information about human body structure. The app comes with a male and a female anatomical model with with more than 3600 structures from all body systems such as Skeleton, Muscles, Circulatory (arteries, veins, heart), Brain, Nerves, Skin, Urinary etc. Very useful app that comes with easy to understand animations, definitions, pronunciations and high quality images which can help you know all functions of body systems easily. One of the best reference tools for students, healthcare professionals, medical teachers. Before downloading the app, you must view screenshots of the app on the app store for full information. 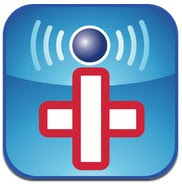 Great medical app for iPhone and iPad users. 2. 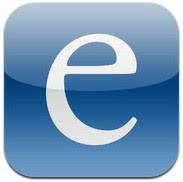 Epocrates ( iPhone & iPad ) – One of the most downloaded free medical apps and it is used by thousands of healthcare professionals. The app helps healthcare professionals to review drug prescribing, get safety information for thousands of brands , generic and & OTC drugs, read latest medical news and research information, identify pills , and access lots of useful medical tools. Very useful app for healthcare professionals. 3. 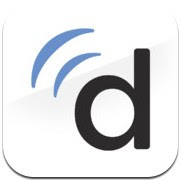 Doximity ( iPhone & iPad ) – Doximity is a free official app of Doximity.com that is a professional network for Physicians. If you are a physician or want to search a physician in your local area, you can install this app to find physicians. The network has more than 180000 qualified doctors. Great medical directory app of US physicians that lets you connect with any US physician. 4. iTriage ( iPhone & iPad ) – iTriage is one of the best free medical app for all iOS users and it helps them get answers of their health related questions and find medications, diseases, and medical locations. Fully featured app that comes with many features which allow you to search symptoms, learn about potential causes and find the most perfect treatment and doctor. iTriage also helps you find doctors, physicians , diseases, medical symptoms, procedures, conditions, medications and drugs. 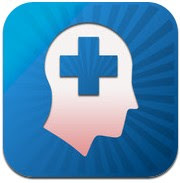 Very useful app that can be used as a complete healthcare app on your iPhone or iPad. Recommended app for all iPhone/iPad users. 5. 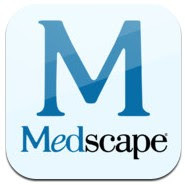 Medscape ( iPhone & iPad ) – Medscape is a useful medical app that is mainly used by medical students, physicians, nurses and other healthcare professionals to get useful clinical information such as medical news,critical alerts, clinical reference including drugs, diseases, conditions & procedures. Featured rich free medical app that includes tons of useful options such as – powerful medical calculators, medical formulas, clinical reference tool to find drugs, diseases, conditions & procedures , medical news and articles with saving & Facebook sharing option. 6. MediMath Medical Calculator ( iPhone & iPad ) – Powerful medical app that comes with more than hundred medical calculators. Featured rich medical calculator for iPhone and iPad that supports many medical calculators such as – BMI calculator, body surface area (4 Calculators) , Boston heart failure, ideal body weight, oxygenation index, pregnancy Wheel , target Heart Rate, unit converter calculator and many other useful calculators. Useful medical app for students and professionals.